Our engagement story for our one year engagement anniversary. It’s a year today since Adam and I became engaged! I can’t believe it – a year! What a year it’s been. This man is the most amazing, caring, gentle affectionate and funny man I could have hoped for. Last week I said to him that I think, if it’s possible, I’ve fallen even more in love with him in recent weeks. Maybe it’s because of the interest he’s taken in the wedding planning, or talk of travel and family, or the way we can laugh and laugh at our combined silliness. It could be the way he looks at me so adoringly, or how he’s always nice and sees the best in people. It could be the lessons he gives me in slowing down. “Never rush a huggle”, he tells me, ensuring we have a lingering hug at least once a day. So beautiful. I feel like I could burst with love and happiness. The other night, when this photo was taken, I was speaking at an event. He wasn’t well, and nor was I. I saw him fading during my speech. He apologised for not taking any photos. And I gave him some panadol and felt his forehead for a fever a lot. I suggested he go home and I get a taxi, but he said no, he wanted to support me there. For our engagement anniversary, I want to tell you our engagement story. There’s a bombshell! I was about to embark on a lengthy overseas trip that I’d booked before I met him. It was hard to be outwardly excited knowing how much we’d miss each other – and knowing that seven weeks apart would be more fun for me than him, given I was sight seeing and he was at work. A couple of weeks before my trip, some friends of mine came to visit. They hadn’t met Adam before, but soon got along like old friends. We went to a local Italian restaurant and had a great meal. As we drove them back to their hotel, we joked that our local strip has everything we need for a local wedding – restaurants, a bridal shop, hairdressers, florists, cake maker, shoe shop, photographers and dry-cleaners. That conversation continued when we got home, And Adam reminded me that I didn’t have to wait til he proposed to me (even though he was dragging me into jewellers to look at rings!). And the idea was planted. I bought a men’s ring online that night. It felt right for both of us. We grew closer in the week leading up to my departure. 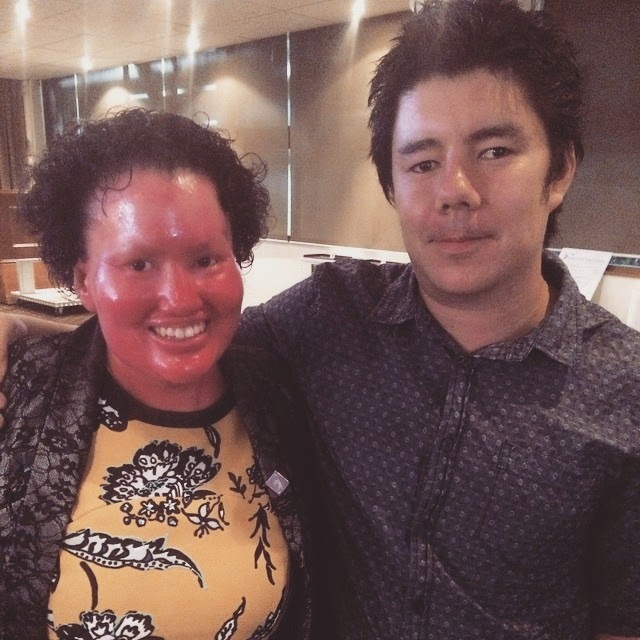 The Monday night before I flew out, I told Adam I was so lucky I gave him a chance, that I couldn’t have expected him to know everything about Ichthyosis when we’d just met and I understood why he was apprehensive about meeting me. I also told him that he’s taught me that kindness is the best attribute and I wanted to spend the rest of my life with him. I gave him this in a letter (written on my iPad with Bob Evan’s Wonderful You playing). The letter said I wanted to marry him. I gave him the ring (but it was slightly too small!). That’s right. I proposed to him. We shopped for a ring for me after work the next day – rushed by the parking meter but Adam didn’t care, he wanted to get the ring right. After all, it is to be worn forever! I told him that I only wanted something we could afford. I chose one, a perfect one. And he put it away, telling me that the proposal could happen any time before I left for my trip. After that, we went to the laundromat because the washing machine was broken. Romantic! I didn’t have to wait long! That night he asked me to relax and write while he cleaned the kitchen. I was writing frantically and watching the premiere of a show TV, and he came in with his hands behind his back. He stood right in front of the TV, blocking my view! He got down on one knee and said “will you marry me?”. I said yes, and then laughed telling Adam it was so unglamourous – I was in my pyjamas and I had missed the TV show! I called my parents, and Adam called his. Dad said that he hopes the wedding isn’t going to cost him much! I reminded him that I am his only child who thought she’d never marry! Ha! And then we texted those close to us, and saved it for social media until the next morning. We exchanged Adam’s ring a few days later, and he proudly wears his man-gagemnt ring. I hadn’t given marriage much thought until Adam came along. When we looked at rings in jewellers windows, I insisted I wanted a small and simple ring. 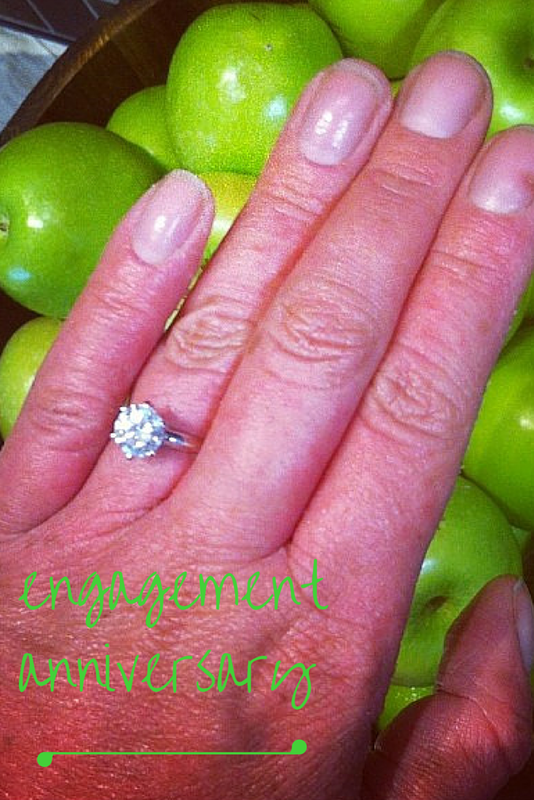 I chose a simple ring – but much larger than I imagined – it is 1.25 carat Tiffany-inspired princess cut ring. And even a year later, I can’t stop looking at it sparkling! But it’s not about my ring. 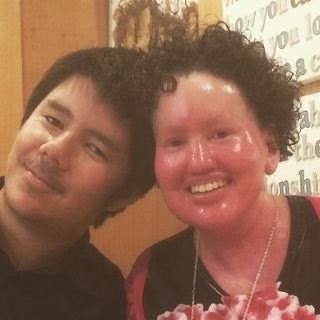 It’s about our life together, supporting each other through the hard times and celebrating the good times. Gosh I love him. It’s just under a year until our wedding. And I can’t wait! My parents adore Adam like their own son. Mum told me that our engagement date falls on her late aunty’s birthday – Ma Josie was the woman who raised my Mum. That makes the day all the more special. Tell me your engagement story. Was it as romantic as ours? That's such an awesome story! Congratulations! Enjoy every moment of your engagement. Beautiful couple, beautiful story and beautiful ring!